A trip to Alligator Alley is the perfect way to break up a boring summer routine. 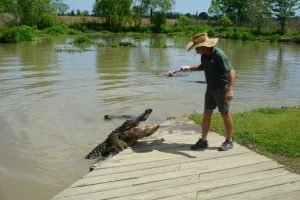 We’ve got lots of wildlife to check out and opportunities for an up-close experience with the alligators. Check out our top five reasons you should visit us this summer. Summer is a great time to relax in your air-conditioned house, but it’s also prime time to get out into nature and soak up some sun. Alligator Alley has plenty of wildlife to explore and plenty of spots to cool off in the shade. 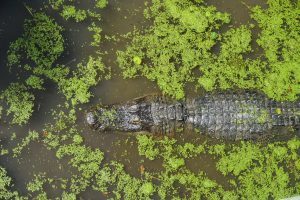 Take a tour of the grounds on our elevated boardwalk, get up close and personal with a baby alligator, and take a turn feeding some alligators yourself. Summer might mean school’s out, but that’s no reason to stop learning! At Alligator Alley, we make wildlife education fun and interactive. Between our guided tours, live feedings and hands-on interactions, you’ll leave with a whole new level of wildlife knowledge. Did you know that an alligator can go through as many as 2,000 teeth or more in its lifetime? It’s true! 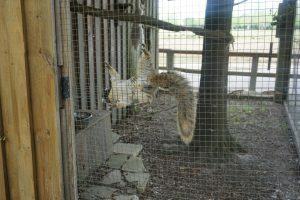 Visit us this summer to learn more fun facts about our scaly friends! Captain Crunch is one popular alligator around here, and for a good reason: he holds the world record for bite strength at 2,982 pounds! The Captain measures 13 feet 7 inches long and weighs more than 800 pounds. He’s a bit of a lone wolf and tends to keep to himself; and with a bite like that, we won’t disagree. 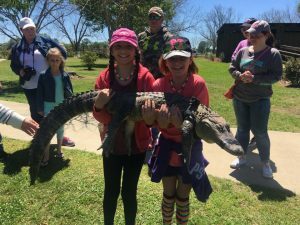 Get up close and personal with a real alligator by holding one of our babies. These little ones are only a few feet long and they can’t wait for their chance to hang out with the big guys! But for now they’re the perfect size for you to hold. 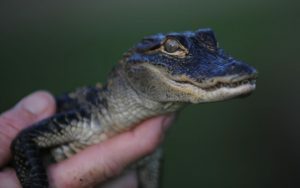 Before you snap a photo with your alligator, be sure to check out its eyelids! Alligators have two sets of eyelids, a normal outer set like humans and a second, clear set that opens from side-to-side and helps them see under water. 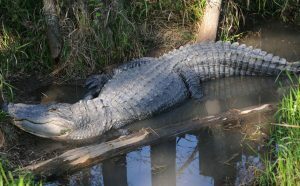 Even though we have a large population of alligators here, we also have tons of other animals to see. Check out the turtles, green herons, bullfrogs and golden silk orb weavers hanging out with the alligators. These animals are normal inhabitants of the alligators’ ecosystem and help them feel right at home here. 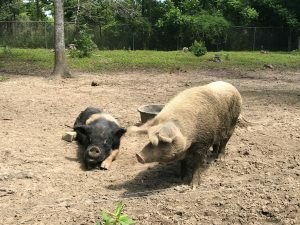 Don’t forget to visit Hank and Moonpie, our two hogs who love to ham it up for the camera, and our fox squirrel, Fatbaby, who loves to entertain spectators. 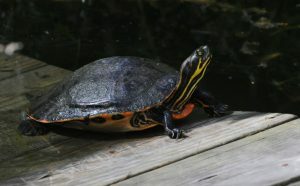 Be sure to stop by Reno’s Reptiles to see and hold all sorts of animals including snakes, lizards, and turtles, his exhibition will be here until August, so don’t miss your chance! Check out our summer hours and pricing to start planning your trip! Also, make sure to set up notifications from our Facebook page to catch our live feedings.